DJ Young 1 will be at the White House tomorrow for their Easter event. The event is supposed to bring more than 30,000 people on the South Lawn of the White House for the event. It will feature live music, sports, cooking stations, storytelling and Easter egg rolling. You may be wondering why this even matters. The reason is because DJ Young 1 is an eleven year old girl. 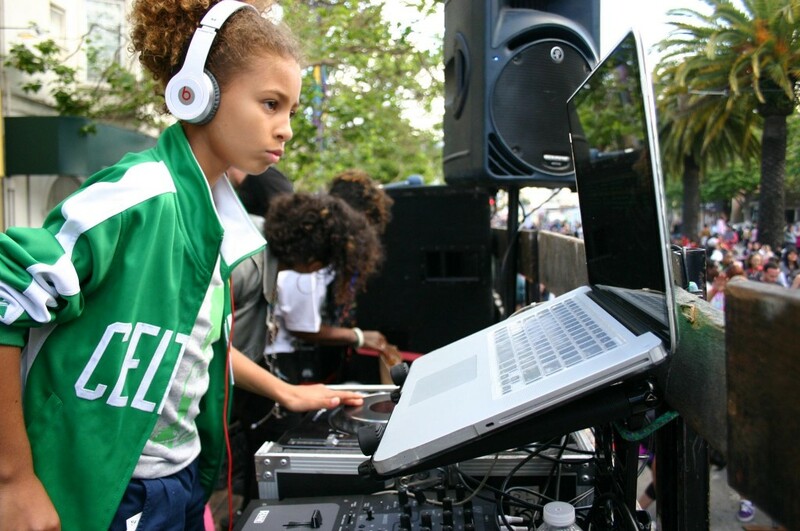 She is the youngest graduate of the Scratch Academy that takes place in Los Angeles and she will be performing two 20-minute sessions. So far, she has worked in Supperclub San Francisco. She has been apart of Pride Celebrations in Los Angeles and Oakland. She had a spotlight on the Queen Latifah Show. She’s also made a cameo appearance in the music video for Jessica Sanchez’s “Tonight” featuring Ne-Yo. She competed on NBC’s America’s Got Talent. Check in the live streams of the event on April 21 at www.whitehouse.gov/live to see her perform.